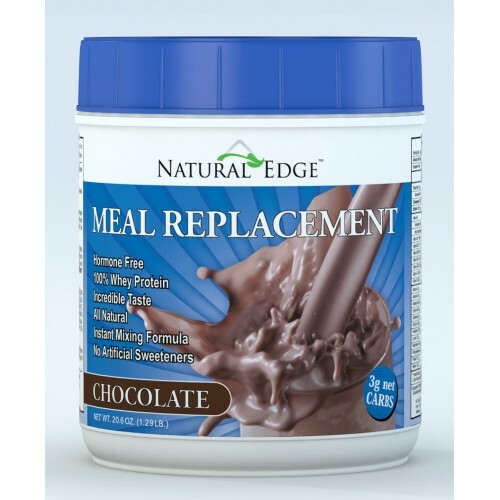 NATURAL EDGE PROPRIETARY PROTEIN BLENDTM (ULTRA FILTEREED WHEY PROTEIN CONCENTRATE, MILK PROTEIN CONCENTRATE, NONFAT DRY MILK, WHEY, COCOA, MICRO FILTERED WHEY PROTEIN ISOLATE, L-GLUTAMINE), NATURAL EDGE CARBOHYDREATE MATRIXTM (FRUCTOSE, XANTHAM GUM, SOLUBLE FIBER), NATURAL FLAVORS, TRI-CALCIUM PHOSPHARTE, TRANSPLEX EXCLUSIVE ENZYME BLENDTM (LACTASE, PROTEASE, BROMELAIN, PAPAIN, BIOPERINE), NATURAL FLAVORS (STEVIA, LO HAN, XYLITOL), SODIUM CHLORIDE, ASCORBIC ACID, MAGNESIUM OXIDE, D-ALPHA TOCOPHERYL ACETATE ( NATURAL VITAMIN E), VITAMIN A ACETATE, PYRODOXINE HCL, NIACIN, CALCIUM PANTHOTHENATE, CHROMIUM AMINO NICOTINATE, BETA CAROTENE, RIBOFLAVIN, THIAMIN, RIOTIN, FOLIC ACID, CYANOCOBALAMIN, COLECALCIFEROL (VITAMIN D). 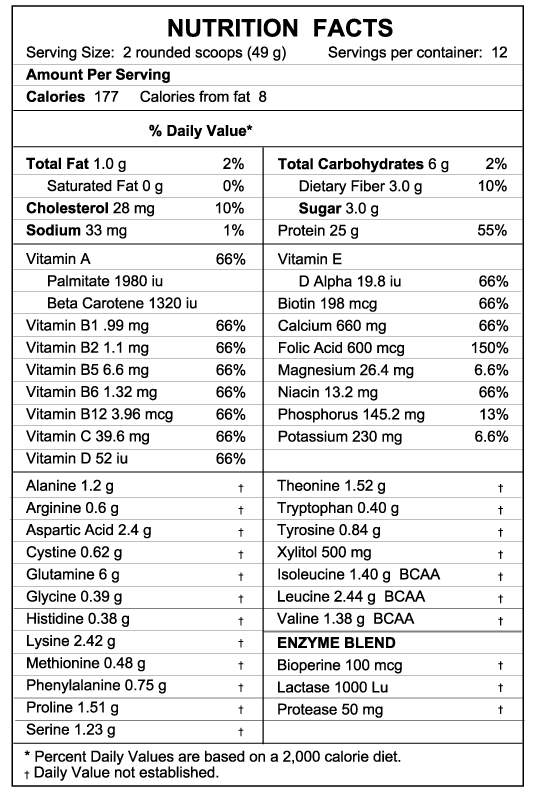 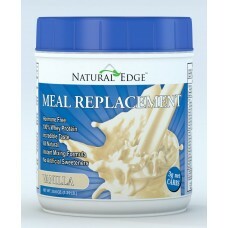 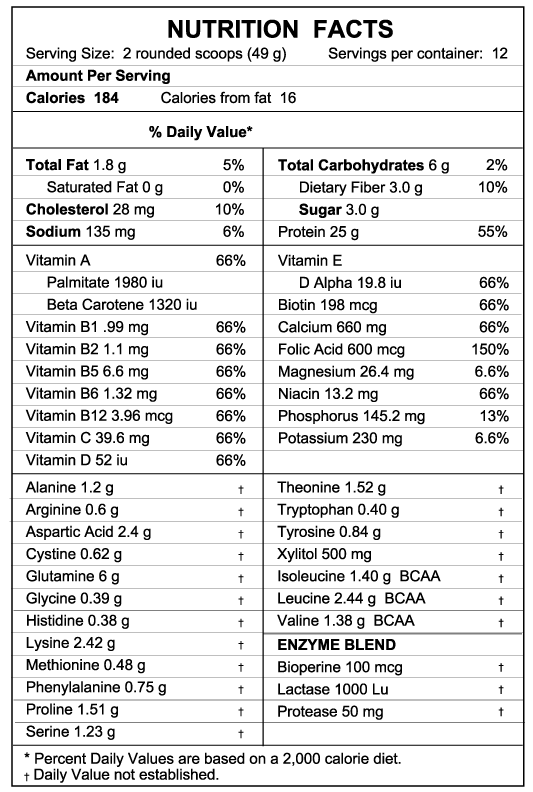 NATURAL EDGE PROPRIETARY PROTEIN BLENDTM (ULTRA FILTERED WHEY PROTEIN CONCENTRATE, MILK PROTEIN CONCENTRATE, NONFAT DRY MILK, WHEY, NATURAL VANILLA POWDER, MICRO FILTERED WHEY PROTEIN ISOLATE, L-GLUTAMINE), NAUTRAL EDGE CARBOHYDRATE MATRIXTM (FRUCTOSE, XANTHAM GUM, SOLUBLE FIBER), NATURAL FLAVORS, TRI-CALCIUM FLAVORS (STEVIA, LO HAN, XYLITOL), SODIUM CHLORIDE, ASCORBIC ACID, MAGNESIUM OXIDE, D-ALPHA TOCOPHERYL ACETATE (NATURAL VITAMIN E), VITAMIN A ACETATE, PYRIDOXINE HCL, NIACIN, CALCIUM PANTHOTHENATE, CHROMIUM AMINO NICOTINATE, BETA CAROTENE, RIBOFLAVIN, THIAMIN, RIOTIN, FOLIC ACID, CYANOCOBALAMIN, COLECALCIFEROL (VITAMIN D). NATURAL EDGE PROPRIETARY PROTEIN BLENDTM (ULTRA FILTERED WHEY PROTEIN CONCENTRATE, MILK PROTEIN CONCENTRATE, NONFAT DRY MILK, WHEY, NATURAL ORANGE POWDER, MICRO FILTERED WHEY PROTEIN ISOLATE, L-GLUTAMINE), NATURAL EDGE CARBOHYDRATE MATRIXTM ( FRUCTOSE, XANTHAM GUM, SOLUBLE FIBER), NATURAL FLAVORS, TRI-CALCIUM PHOSPHATE, TRANS-PLEX EXCLUSIVE ENZYME BLENDTM (LACTASE, PROTEASE, BROMELAIN, PAPAIN, BIOPERINE), NATURAL FLAVORS (STEVIA, LO HAN, XYLITOL), SODIUM CHLORIDE, ASCORBIC ACID, MAGNESIUM OXIDE, D-ALPHA TOCOPHERYL ACETATE (NATURAL VITAMIN E), VITAMIN A ACETATE, PYRIDOXINE HCL, NIACIN, CALCIUM PANTHOTHENATE, CHROMIUM AMINO NICOTINATE, BETA CAROTENE, RIBOFLAVIN, THIAMIN, RIOTIN, FOLIC ACID, CYANOCOBALAMIN, COLECALCIFEROL (VITAMIN D).